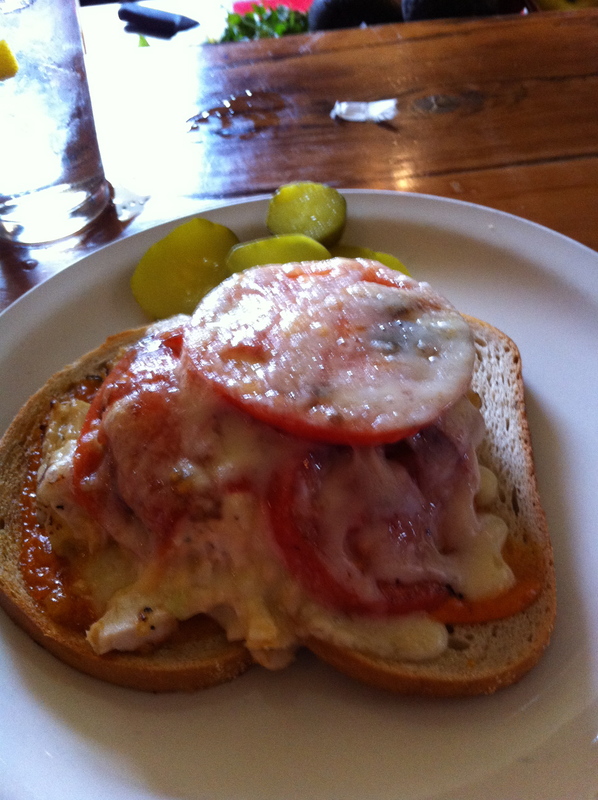 My Weekend In Food | DidjaEat? After a real grind of a week, I was really, really hungry. Seriously. Luckily, I had a few things going on where the food was awesome. So let’s get started. As usual, click on the pics to embiggen. 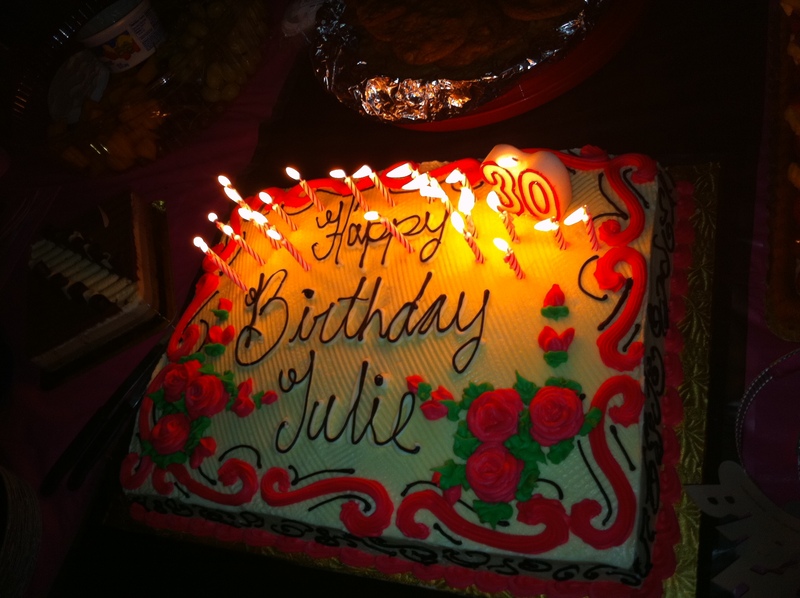 Saturday nite my cousin Julie turned 30, so we had a surprise party for her! She will continue to turn 30 for the near future, just like the rest of us! 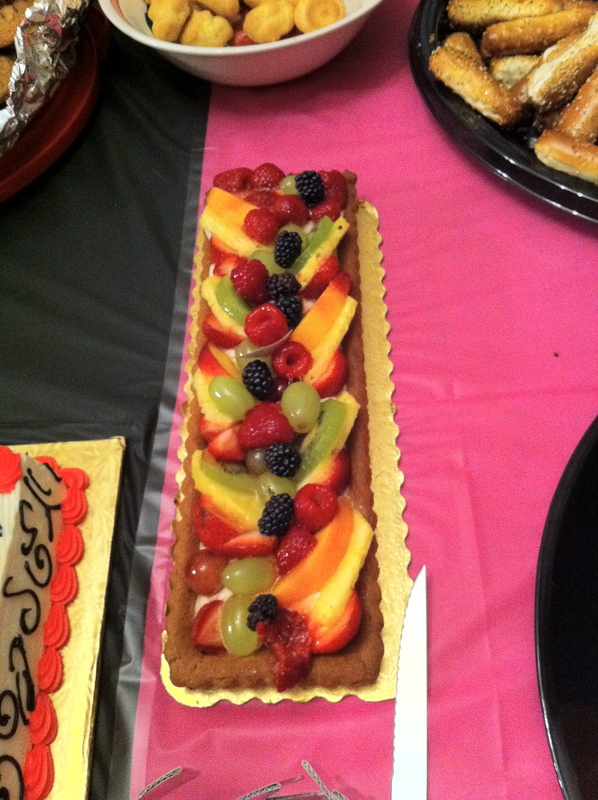 Michele bought a delicious fruit tart thing from Wegmans. The crust was like creamy, vanilla butter. So good! I had to walk away from it because I wanted to eat the whole thing. It usually comes with thier homemade potato chips but I get extra pickles instead. Sooooo good! 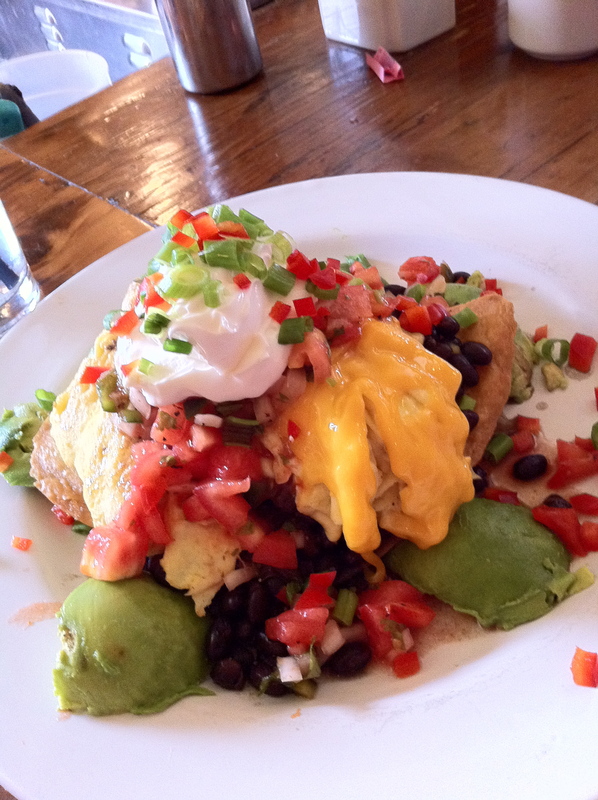 Cecilia got the Huevos Rancheros but with scrambled eggs. She was oddly quiet when eating, so I know she liked it! After the brunch, we went to see her boyfriend Nathan’s play “A Crock Of Schnitzel” at the German American Society on Spring Garden St. It was a sweet old building, and the people there were super nice, but I have to say, the building is kinda creepy and I was wondering how much cash they funneled thru there during the war. Anywho, afterwards we watched the Eagles game with her sister Julie and ordered from La Lupe, a Mexican place right around Pat’s and Geno’s (overhyped cheesesteak places in South Philly). 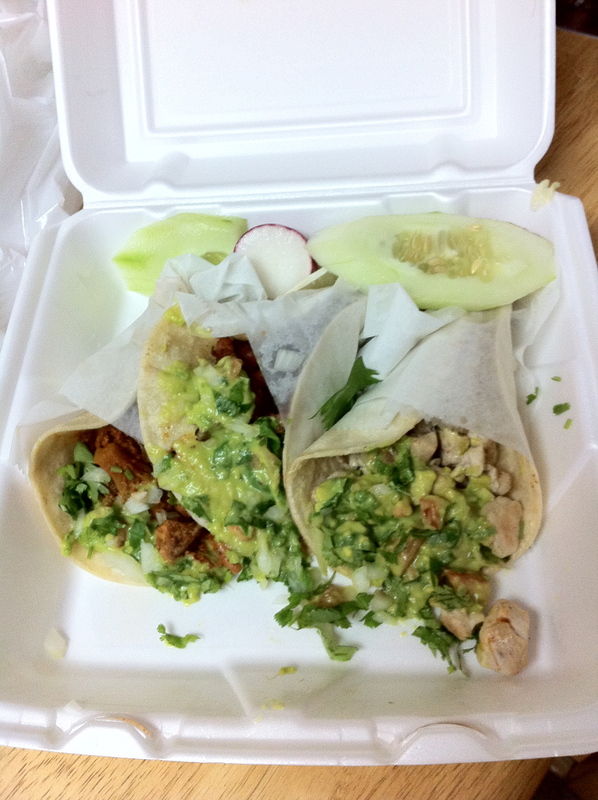 In my neighborhood we have alot to eat but not much good Mexican, so I was kinda excited! 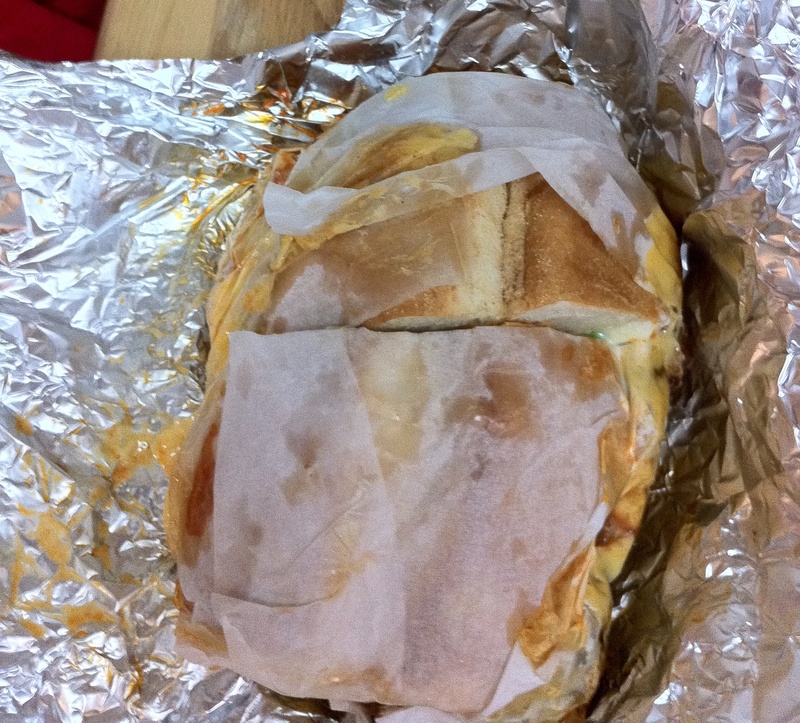 Julie got a Cubano. Check this thing out! Julie told me that it is so big that she eats half of it for dinner and the other half for lunch the next day. If she looked away for more then minute, I might have taken a bite! 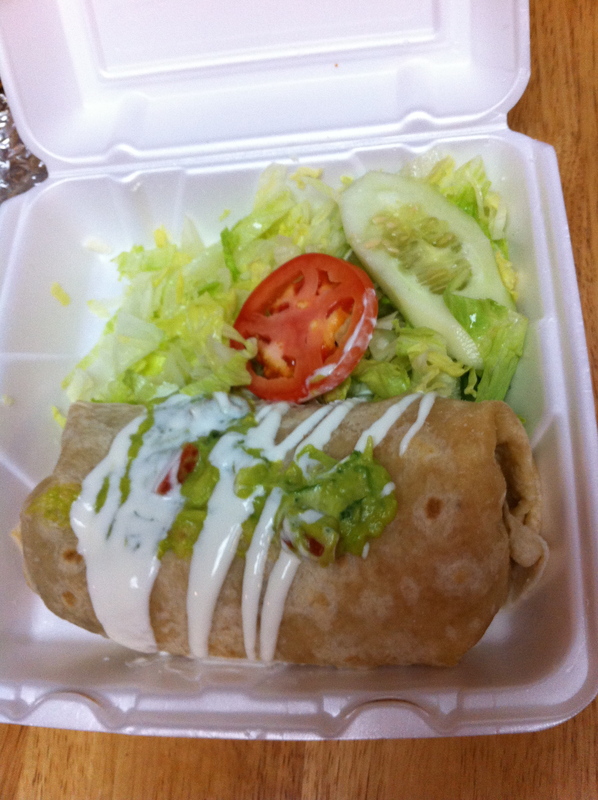 Finally, I ordered a grilled beef burrito. It was the size of a Buick. When eating something of this size, you have to use a claw hand, because if you put it down, it’ll fall apart. Fun fact: another use for the claw hand is a Wendy’s triple! 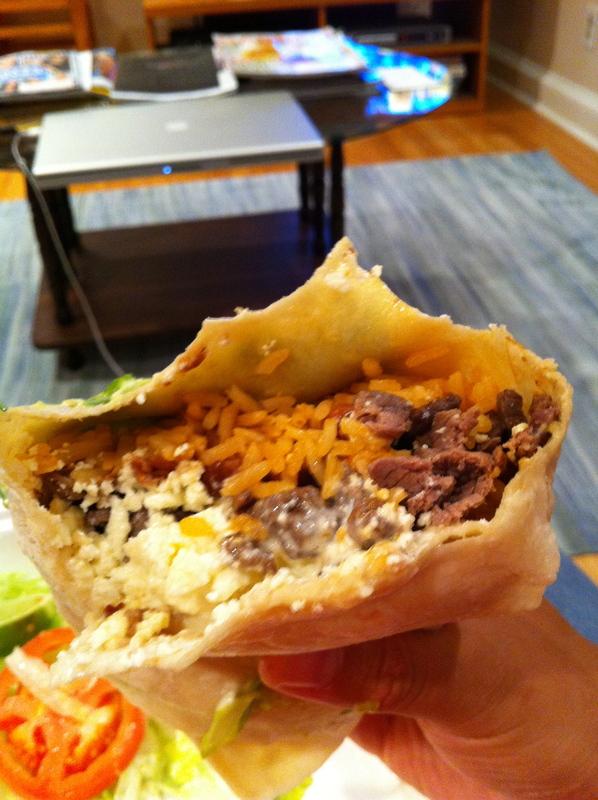 Inside was some great rice, tender but flavorful grilled beef and queso fresco. On top was homemade guac and some sour cream. 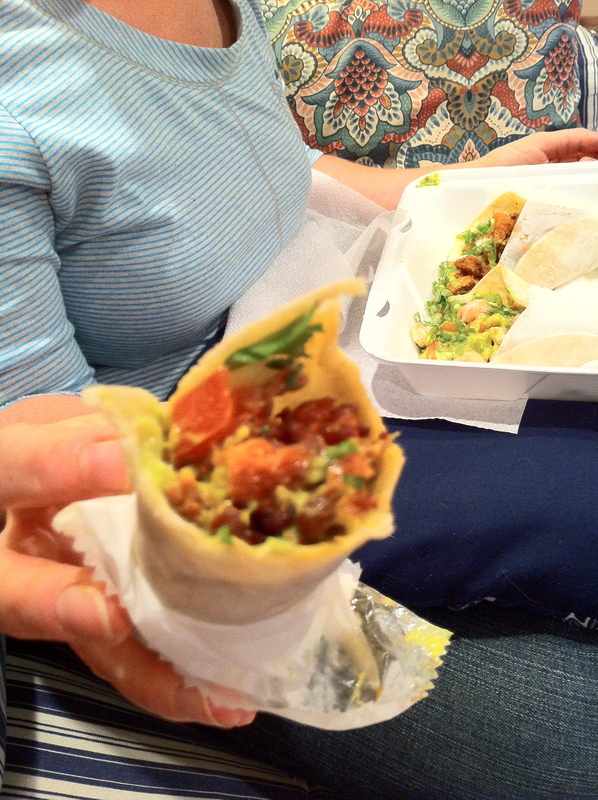 It was the best burrito I have had since the burrito place closed on South St., many moons ago. I loved every sloppy bite of it, my only complaint is that I forgot to order hot sauce. 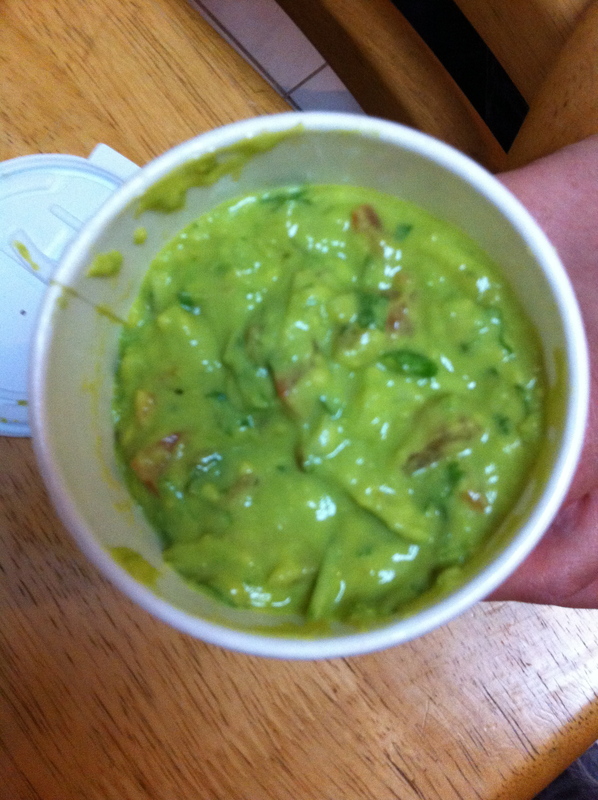 But honestly, the homemade guacamole (delivered in a coffee cup) was so fresh and delicious (along with the homemade chips) it was not even an issue! I have been working so much, I don’t really get to eat actual meals (12 hour days do that to ya) so it was great to sit down with the Watson girls and stuff my face with awesome Mexican food! I recommend this place, and I wish it was Saturday all over again! 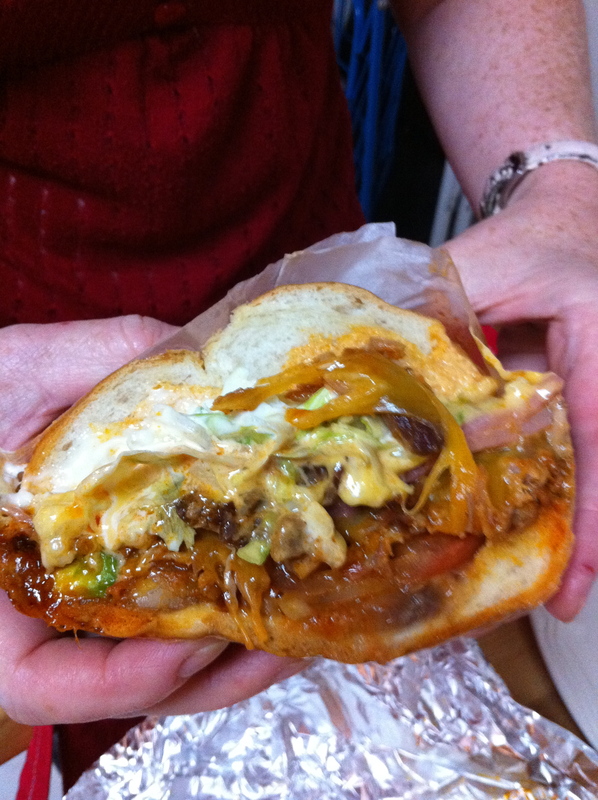 Posted on September 13, 2010, in condiments, home cooking, sandwiches and tagged burritos, cubano, fishtown eateries, fruit tart, guacamole, huevos rancheros, ida mae's bruncherie, open faced chicken melt, south philly. Bookmark the permalink. Leave a comment.